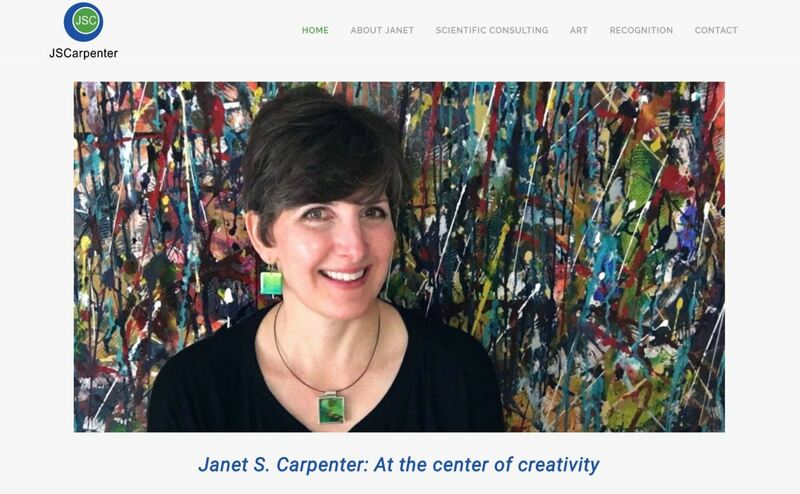 Janet Carpenter - Paired Inc.
Janet felt like she had been living 2 seperate professional lives. 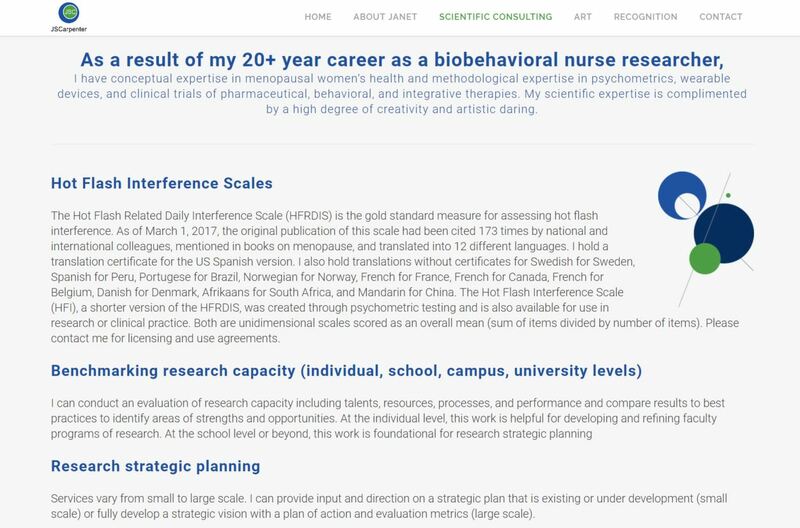 One as an artist and another as a scientific consultant. She wanted a brand and website where she could combine both of her passions. 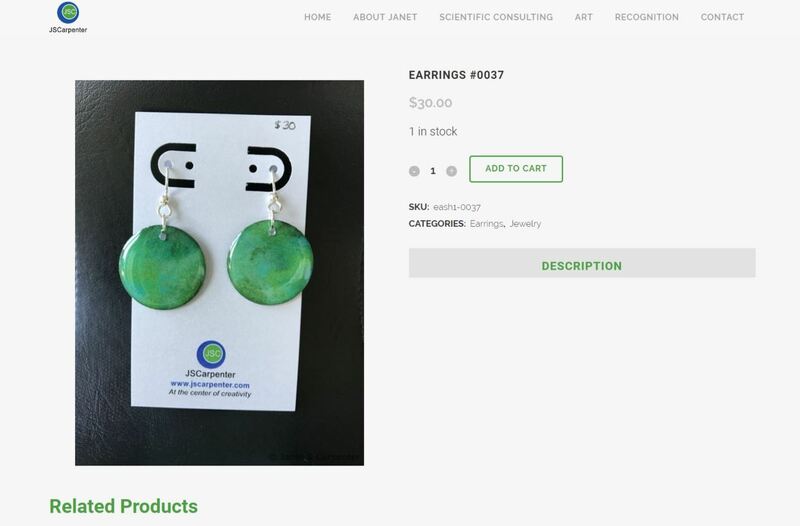 She also wanted to be able to sell her jewelry and artwork through an online store. 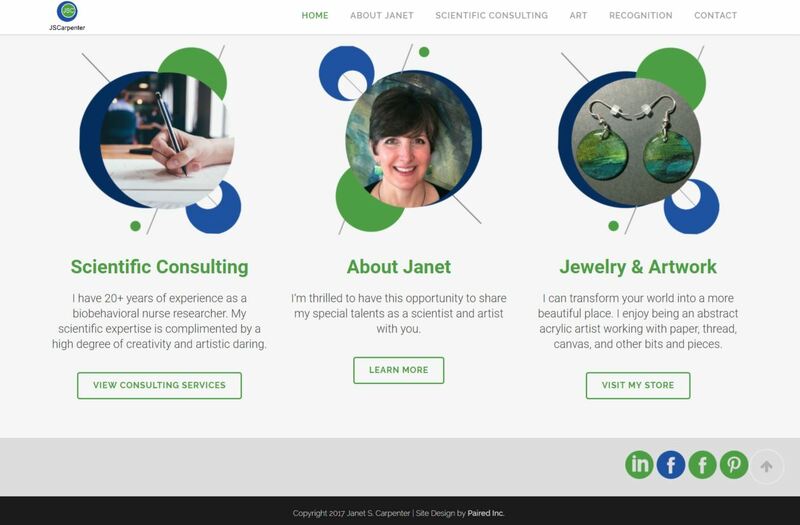 We created a custom website for Janet that houses both of her livelihoods. 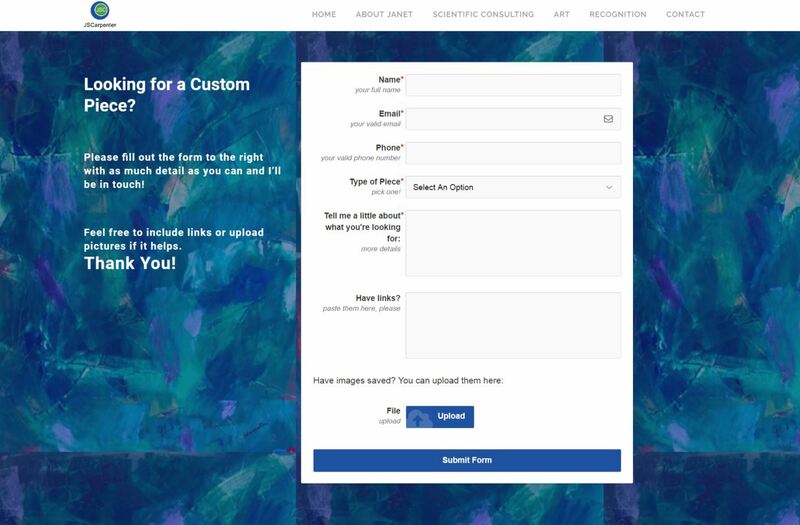 We also made sure her online shop was easy to update so she could add new products as soon as they were created and manage orders on her own.